28 Reasons to go Canoeing: 19: Your Dog will have a Great Time. Your Dog will have a Great Time. Many dogs are mad about water and keen swimmers and I’ve seen plenty of dogs in canoes in my time. Our family dog used to love standing in the bow of our little dinghy and cut an impressive figure-head. I’ve seen a few dogs swimming besides a canoe too and on one occasion it was a Labrador, wearing a life-jacket. I asked about that and the owner said the dog would otherwise keep swimming until exhausted, but wouldn’t get in the boat very often. I guess if you got a dog you learn pretty quickly whether or not your dog is up for a boat trip and you’ll know whether or not he or she needs a life-jacket too. Everybody knows a dog is a great companion when you go camping so I imagine it’s a great bonus if your dog will come with you canoeing as well. Just be safe and look after your dog. Details of our Inn-to-Inn Guided Canoe Trips and our brochures. 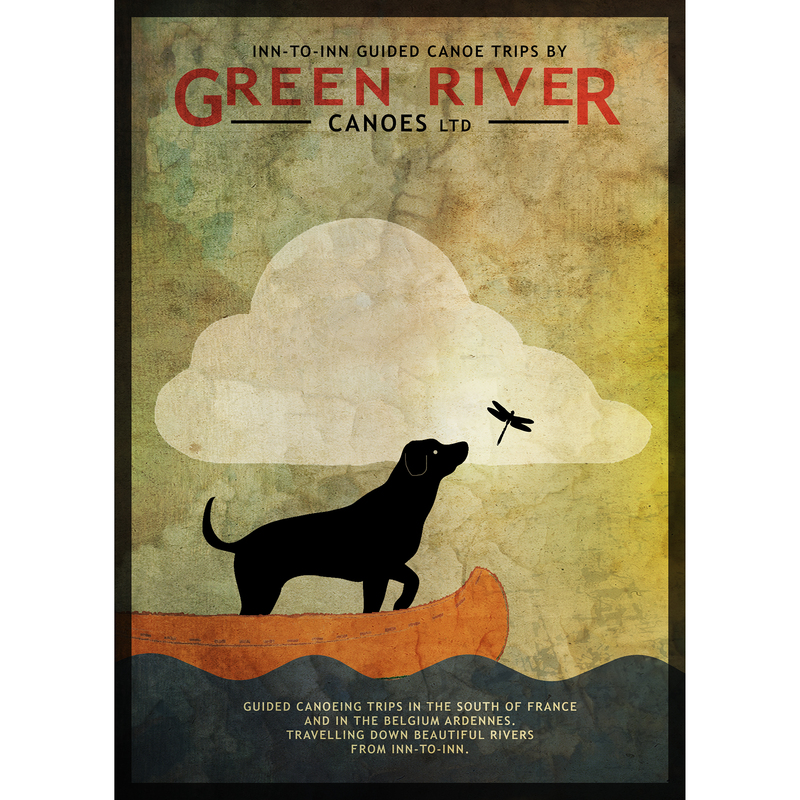 This entry was posted in 28 Reasons to go Canoeing and tagged adventure, Canoe, canoeing, companion, dog, friend, life-jacket, swim, Trip on February 19, 2014 by Green River Canoes Ltd.